Functional Tension: good coordination, voluntary tension, directed and focused tension, refinement of technique. Essentially, functional tension accounts for the interconnectivity of muscles in the body and aims to restrict the energy expended to the smallest amount consistent with the musical requirement (page 1). How did the word “relaxation” ever gain such tremendous currency in modern pedagogy?… I believe that a general misunderstanding of the significance of a highly coordinated movement is the best explanation… A highly coordinated movement is one which fulfills certain mechanical requirements with a minimal expenditure of physiological energy. This economy of energy, however, is the result of good coordination, not the cause. The relaxation school of piano technique has mistaken the result for the cause, and has sought to produce good coordination by economizing energy. It is not an unusual error in kind (page 2). The exercise I talk about at the end is from The Inner Game of Music. This book is more of a good read rather than anything too specific. 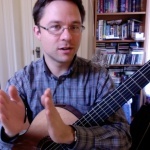 Regarding the progressive technique book I recommend my book: 20 Favorite Exercises for Classical Guitar. The book is progressive so each exercise builds on the previous one. You can practice the book by creating a model technique and relaxed hand for the first few exercises and maintain that model as you progress to the next one. 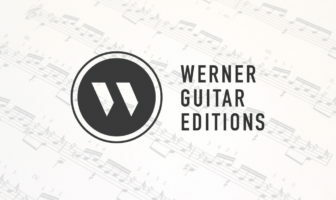 If you’re looking for amore technique books you can check out my review of classical guitar technique and exercise books.